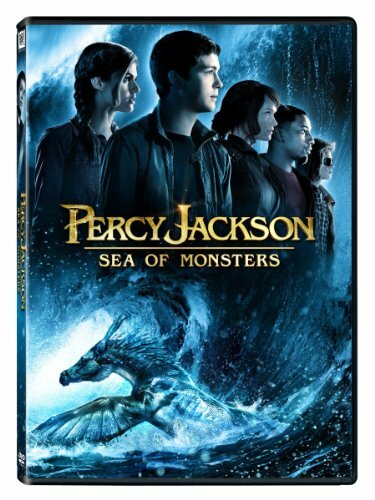 Get Percy Jackson: Sea of Monsters or the original Percy Jackson & the Olympians: The Lightning Thief cheaply from Amazon. You too can earn money from writing articles by signing up for InfoBarrel. Percy Jackson: Sea of Monsters is the sequel to the 2010 film Percy Jackson & the Olympians: The Lightning Thief and based on a novel of the same name by Rick Riordan. The stories tell of the children of the Olympian gods and humans - half-bloods, or demigods - who possess powers and skills themselves. Percy Jackson (Logan Lerman, Fury, The Three Musketeers), the half-blood son of Poseidon, the God of the Sea, and the only currently living half-blood child of one of the three elder gods - Zeus, Hades and Poseidon - and the other half-bloods are living at Camp Half-Blood which is run by Mr. D - the Olympian god Dionysus (Stanley Tucci, Jack the Giant Slayer, The Hunger Games, Transformers: Age of Extinction) - and the centaur Chiron (Anthony Head). Credit: http://en.wikipedia.org/wiki/File:Percy-Jackson-Sea-poster.jpgCamp Half-Blood is protected by a magical shield created by Zeus that stops those who want to harm the half-bloods from entering it. An attack on the camp leaves the tree that generates the barrier injured and dying, putting the camp itself at risk as the barrier itself starts to fail. When the tree dies, so will the barrier, and then, more than likely, all the half-blood, centaur, nymph and satyr residents of the camp. It turns out that the only thing that will restore the tree is the legendary Golden Fleece, currently located in the Sea of Monsters, otherwise known as the Bermuda Triangle. Mr. D sends the half-blood daughter of Ares, the God of War, and Percy's rival, Clarisse (Leven Rambin) on a quest to the Sea of Monsters to find and recover the Fleece. Percy decides, after speaking to the Oracle of Delphi (Shohreh Aghdashloo), to go after the Fleece himself, taking along his friends Grover (Brandon T. Jackson), a satyr, Annabeth (Alexandra Daddario), the daughter of Athena, the Goddess of Wisdom and his recently discovered half-brother, the, rather clumsy and somewhat stupid seeming, cyclops Tyson (Douglas Smith), who is also a son of Poseidon, but not a half-blood. The camp dwellers are not alone in their pursuit of the Golden Fleece though; Luke (Jake Abel), the half-blood son of Hermes (Nathan Fillion) also wants the Fleece for its healing powers - but he wants to use it to resurrect the Titan Kronos, father of Zeus, Hades and Poseidon, so that Kronos will take revenge on the Olympian gods, and the world, for his destruction, and therefore on Luke's father. The film is available in both 2D and 3D; the 2D version was the one watched. A couple of notable changes in the actors from the original film was of those portraying Chiron (originally played by Pierce Brosnan) and Hermes (originally played by Dylan Neal). Percy Jackson: Sea of Monsters seems to be a much lighter film than the original. Humour is frequently used and is quite prevalent throughout the film, even though there is some violence and threat of danger - but no gore, at worst most injuries seem to be scrapes. Nothing in the plot is that original; how the characters are portrayed and how they evolve is pretty standard, as is the resolution of the quest itself. It's possible to guess much of what happens in advance. This is a film that is definitely at the children's end of the PG scale; adults are likely to find it fairly shallow, although the film as a whole does look good and some characters are better than others. Percy Jackson: Sea of Monsters is definitely more of a children's film than an adults.